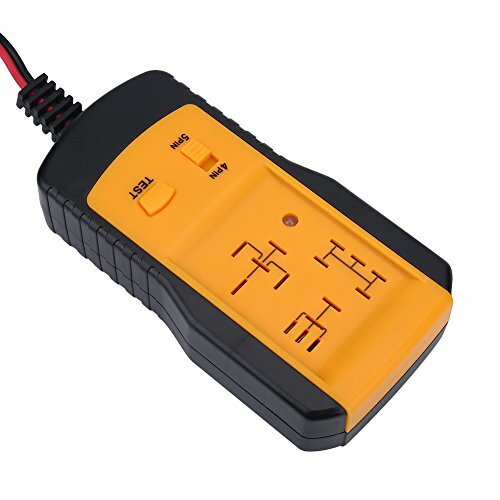 This product is used to test automotive relay. 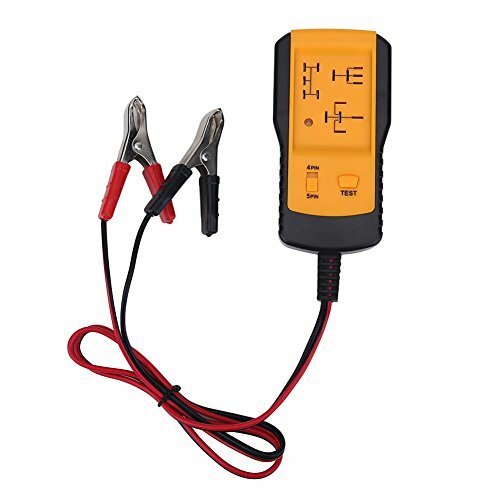 Tester will check for proper functioning of the relay contacts by connecting the car battery (11V--15V) to the relay coil. Tester will watch the pin configuration, the time to contacts closure and opening, consistency of the relay during each test session. Tester will light the GREEN LED if all passed during the test session, if not light the RED LED. 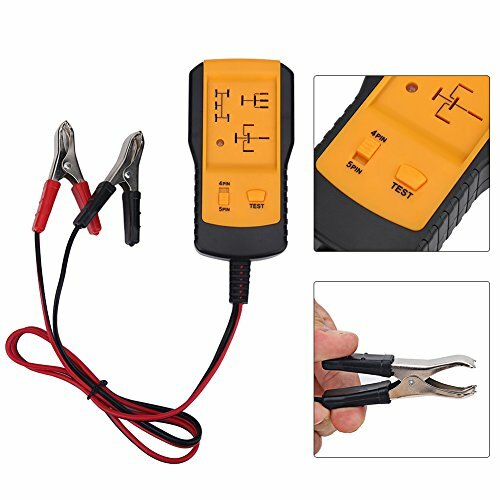 Power supply: 12V power from car battery. 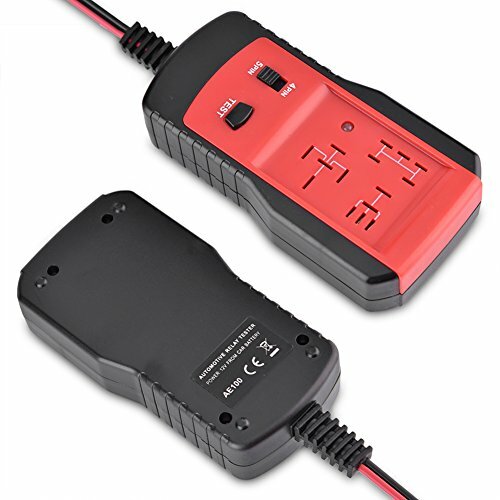 The car battery must be a 12V battery, and the voltage of the battery is among 11V--15V. 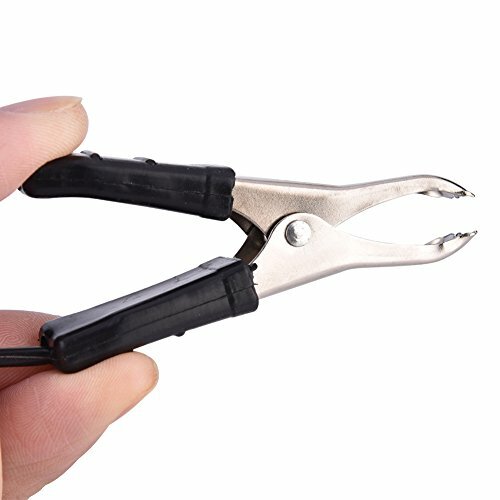 Ideal for coil resistance above 20 ohms. 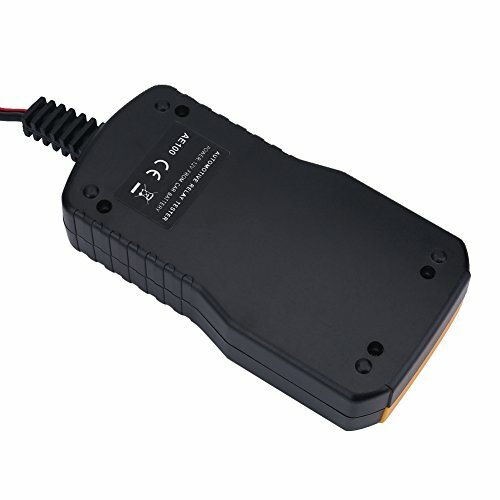 Uses 12V Power:The Car Battery Must Be a 12V Battery, and the Voltage of the Battery is Among 11V--15V. 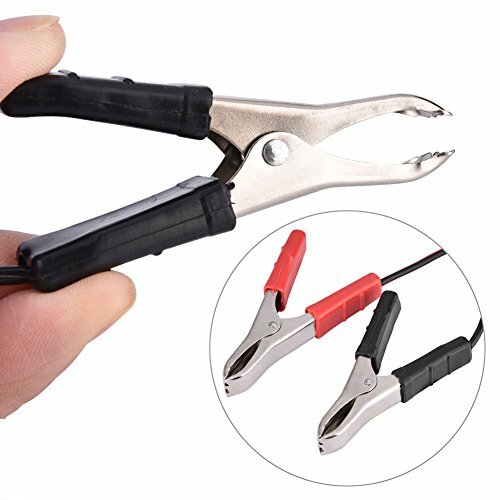 Ideal For Coil Resistance Above 20 Ohms. 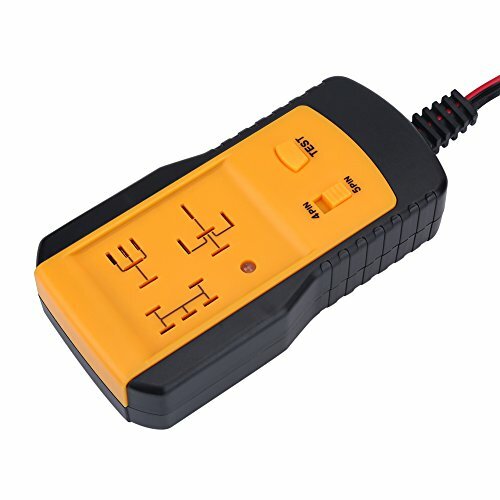 Quick and Easy Off:Quick and Easy Off the Car Relay Test.Tester will Check for Proper Functioning of the Relay Contacts by Connecting the Car Battery (11V--15V) to the Relay Coil. 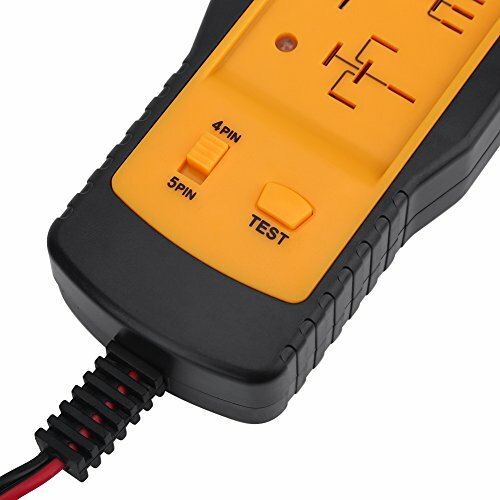 LED Light:Tester Will Watch the Pin Configuration, the Time to Contacts Closure and Opening, Consistency of the Relay During Each Test Session. Tester will Light The GREEN LED if All Passed During the Test Session, If not Light the RED LED. Controls the Tested:Tester Controls the Tested Relay for Proper Opening & Closing. Types:Tests Three of the Most Popular Relay Types.